Madrid is the perfect city for the lovers of enology and viticulture. Not only does it offer a marvelous selection of wines branded “Protected Designation of Origin of Madrid”, the only capital in the world with its own Designation of Origin, and wine cellars where you can learn about the grapevine cultivation process and the production of wine, but also many neighborhoods with bars and restaurants specializing in tastings of not only wines from Madrid, but also from all of Spain. The varieties of wines and the nuances you can taste are limitless: white wine, rosé, red wine, sweet wine or sparkling wine. If you’ve always wondered how to know the difference between young, crianza, reserva, gran reserva or sobremadre wine and become a professional sommelier, the Spanish and a Passion for Wine Course is just what you are looking for. In this special program, the study of Spanish will be combined with all the knowledge you need to acquire related to the Spanish culture of wine. Mornings students are taught 4 daily lessons in Spanish, and afternoons will be dedicated to cultural activities related to enology: wine tastings, a visit to a wine cellar or an introductory class on art and wine in the Prado Museum. If you want to join this course, you need to know the minimum enrollment period is for a week, 20 language classes of 45 minutes each. You can join the course any Monday of the year if you are over 18 years of age. However, if you are a beginner, you will only be able to start the course on the first and third Mondays of each month in order to take full advantage of the course. It does not matter if you have a high or a low level of Spanish proficiency, or if you are already an expert in the world of wine. 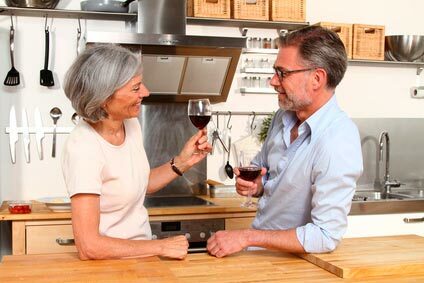 The ‘Spanish and a Passion for Wine Course’ has been designed in order for anyone who is interested in learning both Spanish and discovering more about wine culture. If you take full advantage of this course, you will end up being fluent in the language and know the characteristics of Spanish wines, which are considered some of the best in the world. Being an expert on wine does not mean you need to know the name of every enologist in the more than 4000 wine cellars of Spain. It means to know what you like about wine, and to be able to define what it is about a particular wine that makes you love it so much. The bars, cafes, restaurants and taverns of Madrid are undoubtedly some of the best places to put all this knowledge in practice. * This program must be booked at least one month in advance. ** You may choose another type of Spanish course and/or include more visits if you wish.